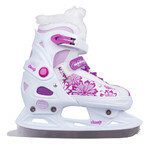 Comfortable skates by top-class brand, figure-skating blades, quick and easy closure (even with gloves on), thermal lining, water-resistant. 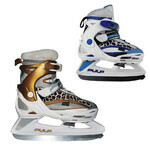 The Women’s Ice Skates K2 Alexis Ice Boa FB are top-class ice skates with excellent closure and figure-skating blades. 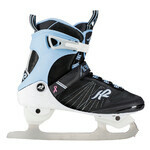 Years ago, K2 introduced the unique K2 Softboot© patented design which combines adjustable and breathable materials, ensuring that the inside of the skate is as comfortable as possible. Moreover, the special Thinsulate insole protects your feet from the cold and keeps them warm. 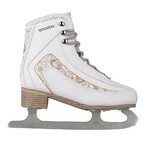 The insole is considered the best thin thermal insulation for ice skates. You may also appreciate the special Boa System® closure technology – using the regulation knob on the tongue, you can tighten the skate up or loosen it, even with gloves on. This system allows for easy pull on/take off. 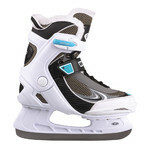 Compared to other skates with lacing, this is a huge advantage. 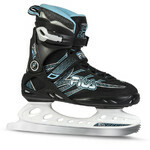 All of the above makes the Women’s Ice Skates K2 Alexis Ice Boa FB perfect for recreational skating on both indoor and outdoor skating rinks. 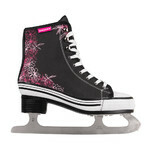 This model allows you to have fun on skates.